Shahidul Alam — Creative stories to destigmatize and educate on all issues of mental health. 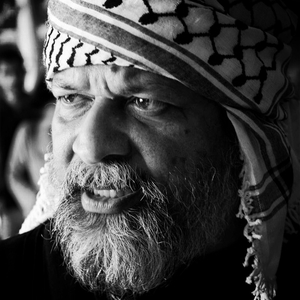 A photographer, writer, curator and activist, Shahidul Alam obtained a PhD in chemistry at London University before switching to photography. He returned to his hometown Dhaka in 1984, where he photographed the democratic struggle to remove General Ershad. A former president of the Bangladesh Photographic Society, Alam set up the award winning Drik agency and Pathshala, considered one of the finest schools of photography in the world. Director of the Chobi Mela festival and chairman of Majority World agency, Alam’s work has been exhibited in galleries such as MOMA in New York, the Centre Georges Pompidou in Paris, the Royal Albert Hall and Tate Modern in London and The Museum of Contemporary Arts in Tehran. He has been a guest curator of the Whitechapel Gallery, the Musee de Quai Branly and the Brussels Biennale. Alam’s numerous photographic awards include the Mother Jones and the Howard Chapnick Awards and the Open Society Institute Audience Engagement Grant. A speaker at Harvard, Stanford, UCLA, Oxford and Cambridge universities, Alam is a visiting professor of Sunderland University in the UK. He has been a jury member in prestigious international contests, including World Press Photo, which he chaired, and Prix Pictet. An Honorary Fellow of the Royal Photographic Society, Alam is on the advisory board of the National Geographic Society and the Eugene Smith Fund. Alam’s recognition as a writer, has led to his participation in literary festivals throughout the globe including the Hay Festivals in 2013 and 2014. He was one of the three speakers in the Commonwealth Writer’s Conversations in Kampala in 2014. Alam’s recent landmark work “Eighteen” questions the role of the military in the abduction of the indigenous activist Kalpana Chakma and has led to the reopening of the case 18 years after her abduction.